Os dejo un interesante programa JClic para que puedas conocer algunos instrumentos populares del mundo. 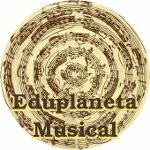 Te propongo un recorrido musical por todo el mundo para conocer algunos instrumentos de diferentes culturas. ¡Ya sabes, viajeros al tren….! This entry was posted on 25 febrero 2010 at 1:04 and is filed under Actividades JClic, Instrumentos musicales. You can follow any responses to this entry through the RSS 2.0 feed. You can leave a response, or trackback from your own site. You are really a good webmaster. The site loading speed is amazing. It sort of feels that you’re doing any distinctive trick. Furthermore, The contents are masterwork. you’ve performed a magnificent task in this matter!